Here’s a little something extra – a look inside Mission Control! I was taking a local elementary school for a tour of the facilities and this is what they saw (you can see a bigger version right here). You might recognize some of the other people who work here at Mission Control. 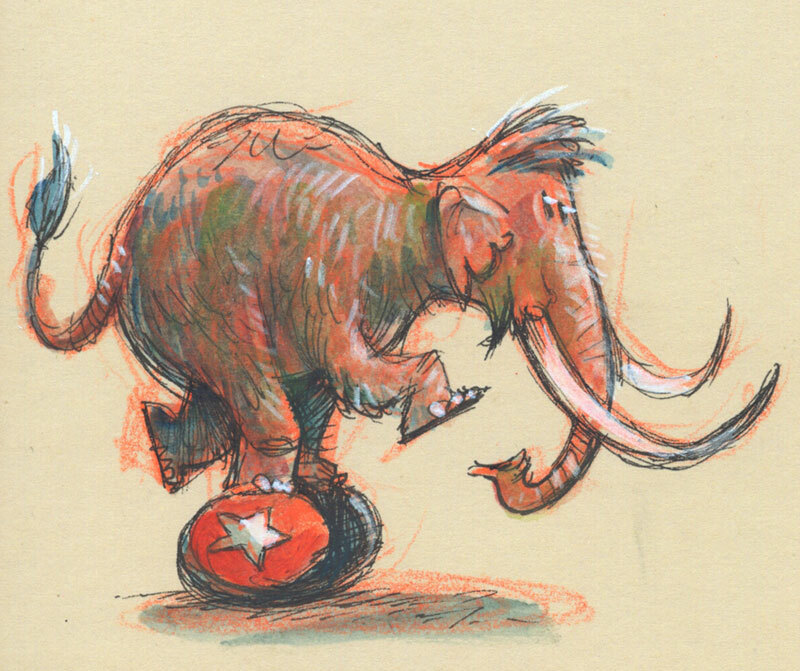 Normally I’d post this in the blog down below, but I think a lot of people miss the extra stuff I include about the Strang Institute where we monitor Ellie’s progress. I’m going to post more about Ellie’s history and goings on at Mission Control right here. Don’t worry though, it won’t take the place of any comics. It’s all extra stuff for you to enjoy. 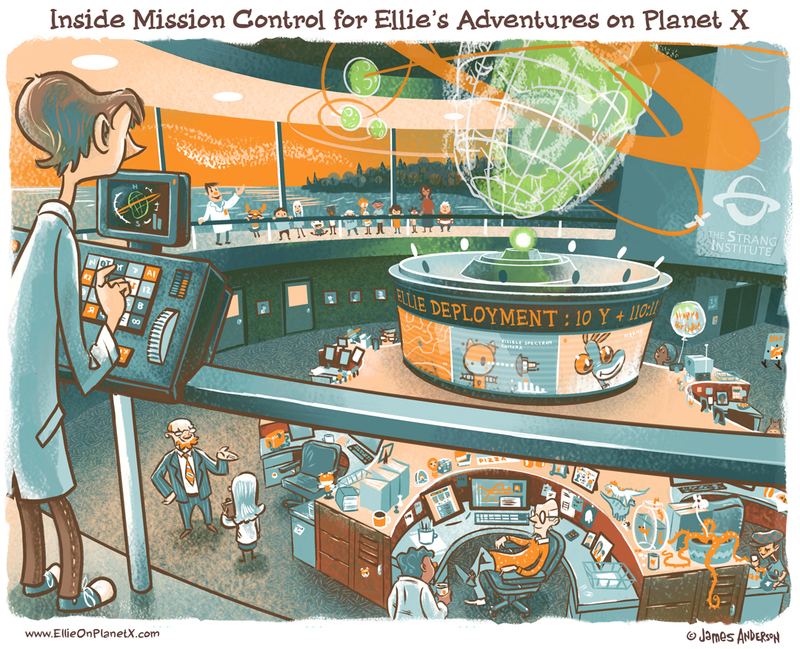 If you want to know more about Ellie’s history, Mission Control, and the Strang Institute, click here, or visit the Extra! Extra! link in the menu at the top of the page and click on Ellie Extras. Enjoy! Last week I mentioned the students from the local school visited the Strang Institute for their field trip*. While I was waiting for them to arrive I got a text message from our resident alien biology expert who goes by the name of Peanut. She’s pretty shy and rarely talks, but when texting it’s hard to keep her “quiet”. Especially on that day. * I’ll be posting more on their trip in the coming weeks. 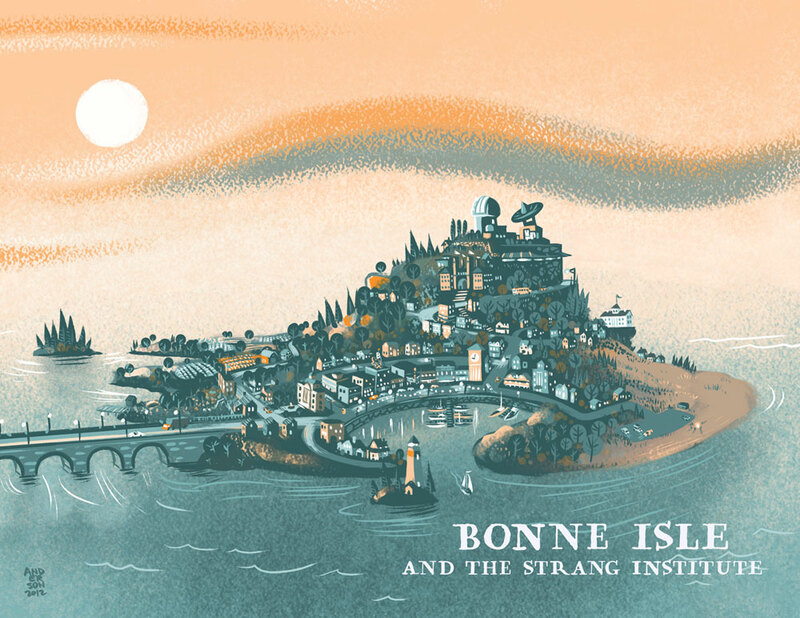 The Strang Institute, home of Ellie’s Mission Control, sits on top of Acorn Hill, the highest point on tiny Bonne Isle, which is located…well, you can locate it easily enough on any good map. You’ll find all the things you might find in other places: a downtown with restaurants and stores, farms, woods, beaches, and schools. They have a baseball team that plays in summer and a hockey team that competes outside on Little Alcove Bay in winter. It’s home to not only a herd of deer, but a pair of cloned mastodons as well. The island is also home to most of the people who work at the Institute, which is close enough to walk to for a good number of them. It’s a bit like Santa’s North Pole, but instead of a land dedicated to the production of toys, this is a place where people work to make science fiction become science fact everyday. Today is pretty special though. A few times a month one of the local schools will have a field trip to visit Mission Control. This time it’s the Bonne Isle Elementary School. They’ll be arriving this evening around 9pm. I’ll be giving them a tour and a history lesson about Ellie and the Institute even though all of them have memorized every little thing about our favorite space explorer already. My tours usually end up as a test to see how much I know. The Children get to camp out overnight in the Institute gardens, which are kept a balmy 77 degrees all year round (thanks to the garden’s Anti-Climate Electro-Bubble), and get to look at Planet X through the telescope too. I’ll be posting more about their visit in coming weeks, including a peek inside Mission Control itself. 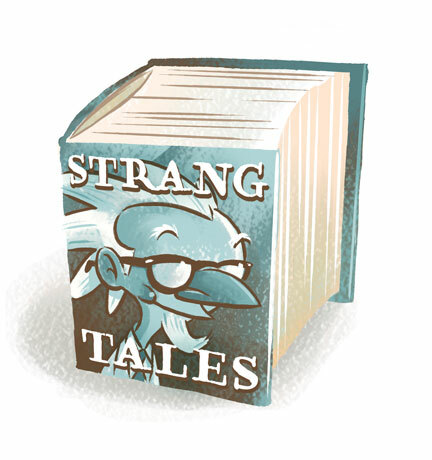 I mentioned a while back that I was reading Strang Tales, the rather hefty biography of Dr. Cornelius Strang, founder of the Strang institute and the man responsible for Ellie’s expedition to Planet X. Well, here’s a scan of the first couple of pages. 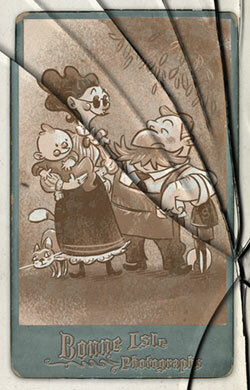 Unfortunately the book was a little heavy for my scanner and…well…I’ll be getting a new one now. Just click on the pic below to see the whole thing! 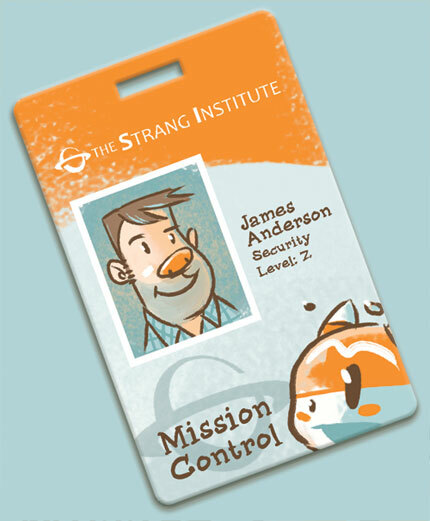 I’ve been to the Mission Control building here at the Strang Institute like a gajillion times, and every single time I enter I have to show my pass. Every single time. It’s not as if Ralph Peterson, the Institute security guard, doesn’t remember me. But he takes my card, puts it under the ultra violet light, holds it up overhead, turning it this way and that. Really the reason I think he does that is so it gives him time to regale me with one of his many stories of his years at the Institute. If it’s a particularly long story, he’ll radio for help to make sure I’m not some kind of spy or something. 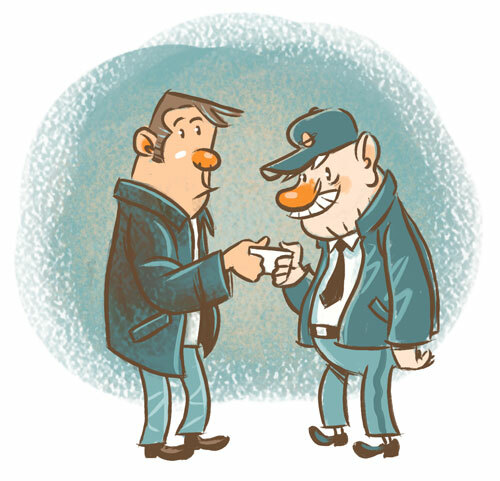 “You never know if someone’s an exact duplicate,” he says. This evening’s story took place back in 1970, during the final months of Ellie’s training program, before she would go on a whirlwind tour to promote her mission. Many a foreign dignitary, or astronaut, or famous scientist, or Hollywood actor would come out to the Institute to meet Ellie and take a tour. It was quite the honor to be invited. 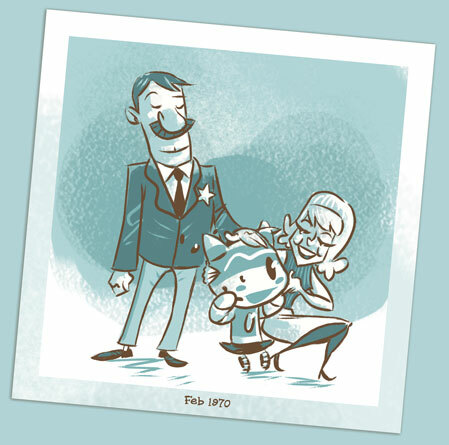 Well, it was rather well known around the Institute that a young Ralph Peterson had a little crush on Barbara Eden, an actress who played the title character on tv’s I Dream Of Jeannie, a sitcom about an astronaut who finds a genie bottle on the beach. And as luck would have it, not only was she a fan of Ellie, but she was asked to come to the Institute to meet her. As Ralph tells the tale, he was all cool about the news of her arrival, though others claim he was a nervous wreck. But he gained some composure and when her car pulled up he introduced himself as Institute Security. Ralph claims there was a bit of a spark between the two of them. 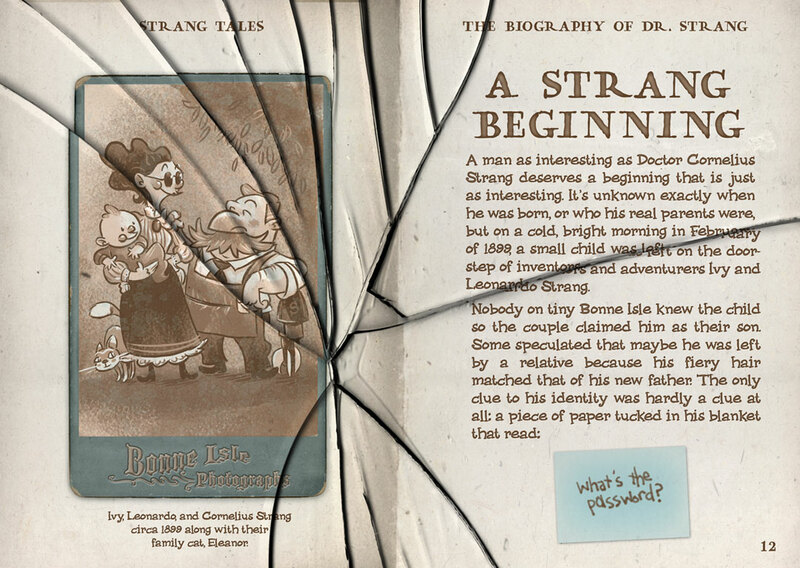 He claimed that he didn’t have any information on her visit, but if she would accompany him to dinner he’d make sure she would be able to meet Ellie. Barbara Eden gave him a little wink and agreed to the date. When I asked Ralph if anything came of his date he explained that a gentlemen doesn’t tell. Then the door unlocked and he let me in. I’ll be sure to post an excerpt or two in the future. Now, back to reading! Man, I should have gotten the digital version. 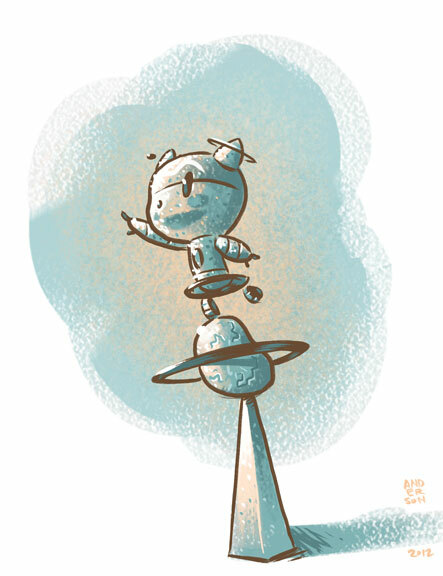 Last week I posted a drawing of the statue of Ellie that sits in front of the Mission Control building at the Strang Institute. Well here’s the building itself! 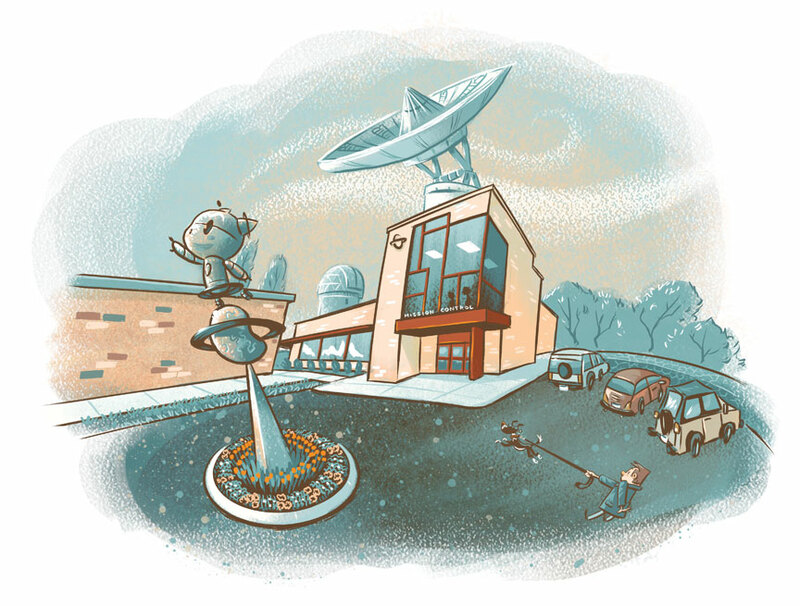 You can see the famous telescope that Dr. Strang used in his discovery of Planet X way in back, and atop the building is the dish (one of many around the globe) used to receive Ellie’s transmissions from over eight light years away. By the way, that’s me taking the Institute mascot, Bijou, out for her own mission: an afternoon pee and pull. 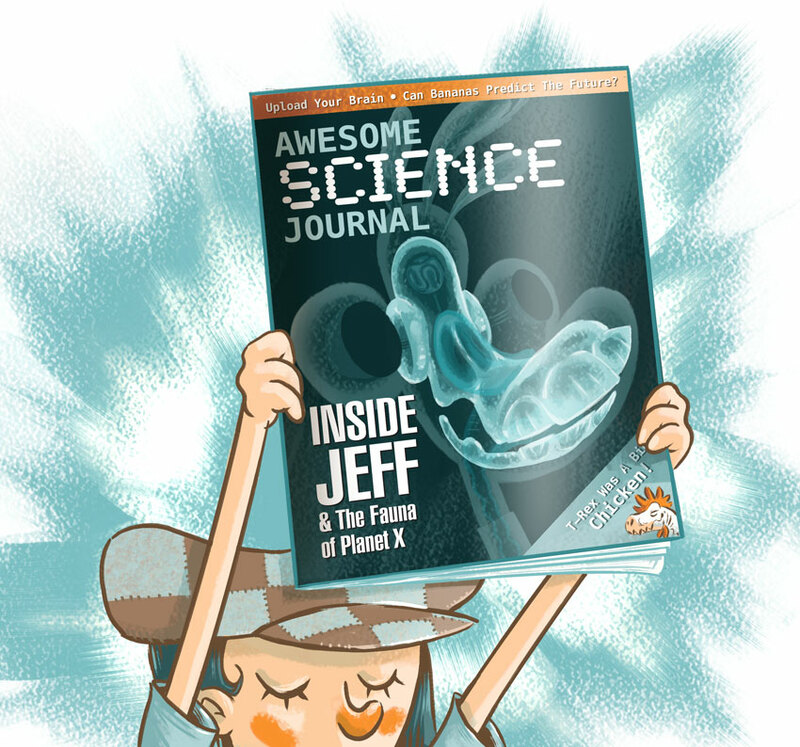 I was having a little discussion about the star that Planet X revolves around with Ellie reader Neutrino. It was pointed out to me that I’ve never actually stated which star it is except in some vague clue from time to time. Of course that was an accidental oversight on my part, and it took Neutrino to not only remind me, but also point out exactly which star it happens to be. Another thing Neutrino reminded me was that Planet X’s parent star is only 200-300 million years old – not enough time for life to evolve. So the fact that there definitely is life there is not only an amazing discovery, it’s also a real mystery. 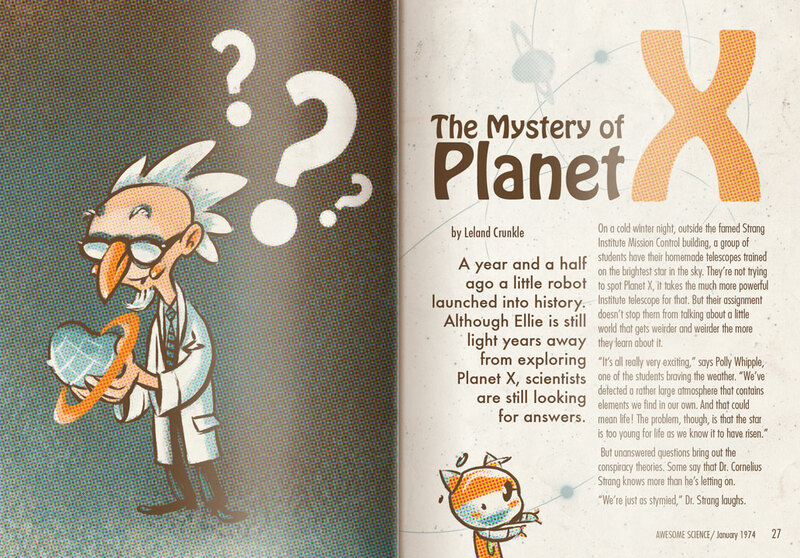 Part of Ellie’s mission is to discover those answers. Anyway, Neutrino inspired me to go down to the archives and dig out this magazine article from the early 70s. This is the statue of Ellie that sits out in front of the Mission Control building. On clear winter nights (like tonight) at the Strang Institute, she seems to be pointing right at Planet X’s position in the sky! During my lunch break today I wandered the grounds of the Strang Institute where I caught sight of our two cloned mastodons. 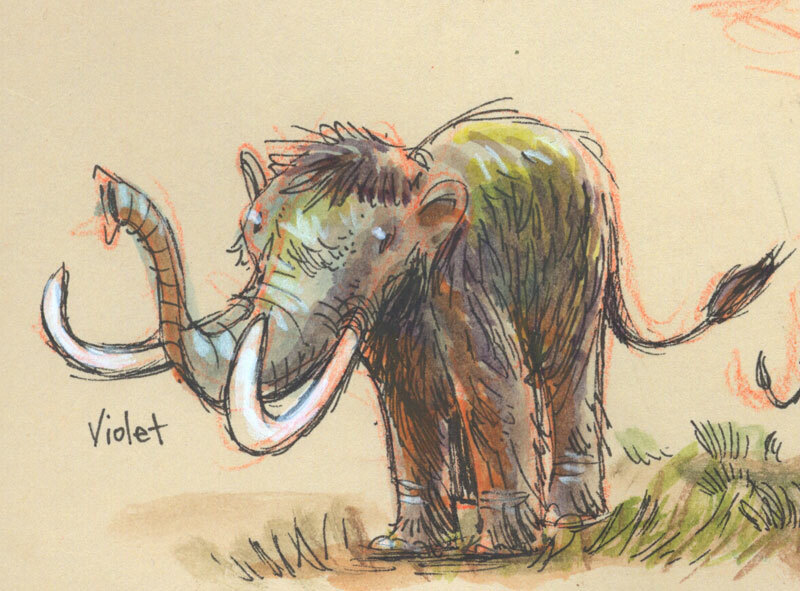 Betsy and Violet are pretty elusive, so if you spot them then you’re pretty lucky. I ran across them goofing around in the relatively warm January sun and did some quick sketches. Violet even came right up to me to see what I was doing.